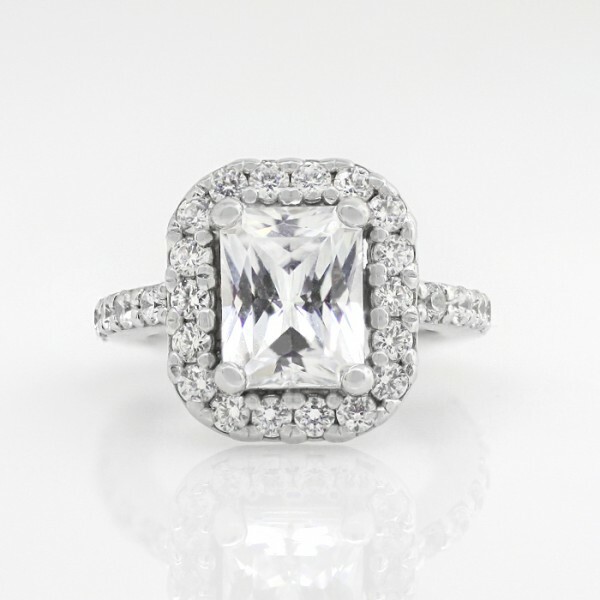 Halo with 2.62 carat Radiant Center - 14k White Gold - Ring Size 4.0 was added to your cart. This ring is as glamorous as it is comfortable. The Radiant cut Contemporary Nexus Diamond is surrounded by a glittering halo of accent stones. The accent stones and metalwork continue along the shoulders and band, completing the vintage-contemporary look with a flourish. Center Stone: 2.62 carat Radiant cut Nexus Diamond.